Diwali is the five day festival, celebrated mainly in October-November during Autumn. It is the festival of lights, joy, brightness and splendor. People from different part of India – Hindus, Sikhs, Jains celebrate Diwali by setting out clay oil lamps & candles, enjoying fireworks, hanging lights, exchanging gifts, feasting with family, making Diwali faral and by worshipping Lord Ganesha with Goddess Laxmi. The actual day of Diwali is celebrated on the 3rd day of the whole festival. Diwali Faral is mainly a Maharashtrian food recipes which has been make during Diwali to celebrate and give this Faral to your loved ones. “Faral” is a Marathi word which means various Diwali snacks and Diwali sweets. 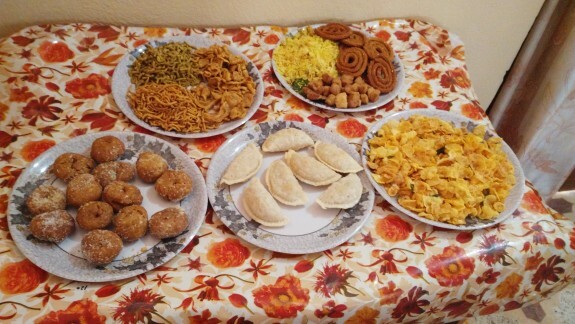 Our Diwali Special Faral recipes include: Moong Dal or Besan Laddu, Coconut Laddoo, Chakli, Corn Poha Namkeen, Namak Pare, Poha Namkeen Chivda, Gujiya and many more. You can find here more Diwali recipes and menu items for the whole day to celebrate this day. 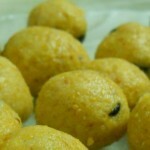 Moong dal laddu is an Indian sweets, specially made for the occasion of Diwali or Ganesh Puja. 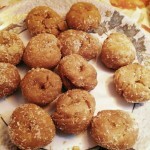 Find this classic Indian sweets recipe here. 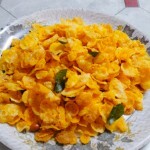 Chakli is deep fried popular snack items made during festive season in every house. Find this tempting Chakli or Murukku recipe to celebrate this Diwali at The Masala Route. 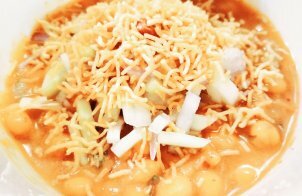 Poha Namkeen chivda is popular north Indian snacks prepared during the festival like Holi , Diwali , Sankrant as a faral . 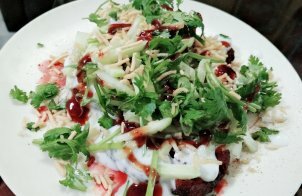 Make this easy and simple poha mixture recipe at home. Use it as best tea time snacks. 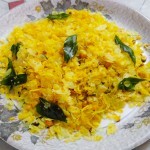 You can also try many version of chivda recipe like corn poha namkeen, khata mitha chivda, Sabudana chivda and many more. 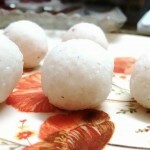 Try this coconut ladoo to celebrate this Diwali or any other festive mood. This laddoo can be used as bhog for Mata Laxmi and Lord Ganesha. 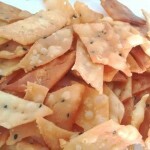 Namak Paare is a crunchy snack seasoned with Kalonji or Carom seeds. It is s great companion with tea or coffee. It can also be made during festivals like Diwali. 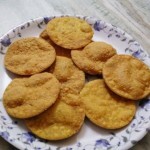 Besan ki Papdi is a must have recipe during festivals. It would also help you to give a changing taste and flavour on your mouth. 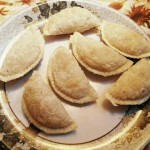 Gujiya is normally a fried pastry which is stuffed with sweet filling of khoya or dryfruits. 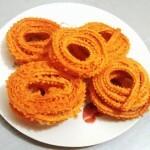 This is a very popular dish mainly in North India during festive season of Diwali and Holi. 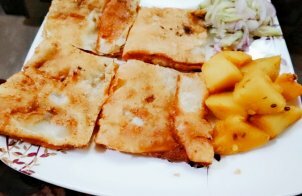 Balushahis are deep fried crunchy dough which was then soaked in sugar syrup to give it a crunchy sweet taste.